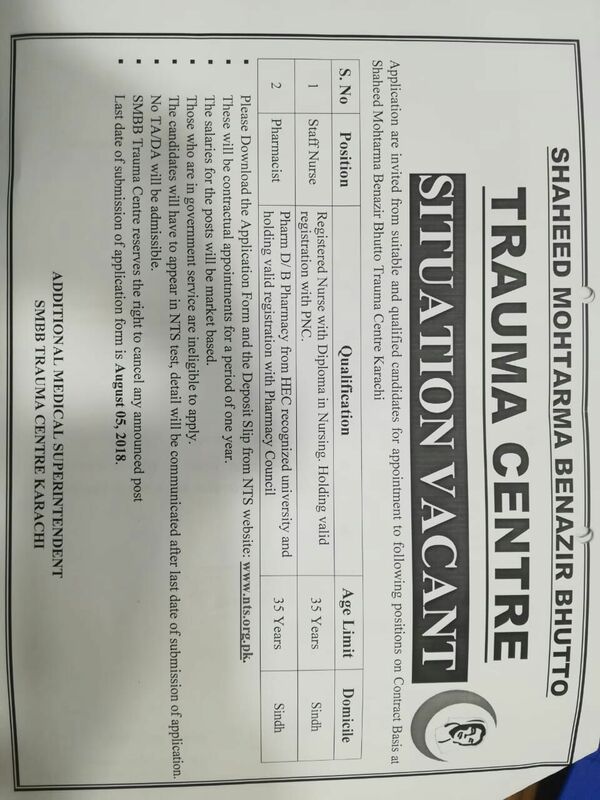 The Objective of the Supply Chain department at Shaheed Mohtarma Benazir Bhutto (SMBB) Trauma Centre is to ensure that Items are timely requisitioned in the right quantities in order to make them available for Pharmacies and Departments and also to ensure proper and safe storage of materials along with issuance of the material to the Pharmacies and Departments according to their requirements. Supply Chain Department acts as a bridge, whereby it coordinates with various departments of the Centre to gather their material requirements, analyzes and works out the final quantities, relays them to the Procurement Department in the form of Purchase Requisitions, follows-up for timely delivery of items and issues them to the departments against their requests. Incoming medicines, surgical and related items are reviewed and verified by the Store Pharmacist, to ensure compliance with the standards. They are processed via Hospital Management Information System (HMIS) and issued to the pharmacies accordingly. Best warehousing practices are being implemented in the department, such as palletizing/racking of goods, FEFO (First Expiry First Out) and PAR inventory system.